Sanya Malhotra who plays the Gujarati middle-class CA aspirant in Ritesh Batra's Photograph speaks through her thoughts in the film. Slipping into the character of a shy, timid, and thoughtful girl Miloni, Sanya Malhotra was required to be immersed deep in thoughts to obtain the correct expressions. In order to ace her character and look convincing on screen, Sanya would concentrate on a script of thoughts to reflect the same on screen. Coming from a reserved Gujarati family, Sanya Malhotra's Miloni crosses path with a photographer at Gateway of India named Rafi, played by Nawazuddin Siddiqui, and the lives of both take a pleasant turn as Miloni starts seeing herself through Rafi's lens. 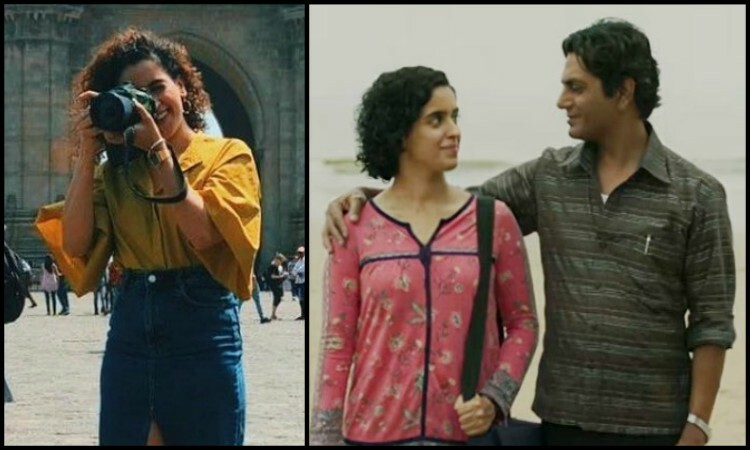 Bringing to screen the unconventionally refreshing chemistry of the odd pair of Nawazuddin Siddiqui and Sanya Malhotra, Ritesh Batra's Photograph offers remarkable performances. National award-winning director Ritesh Batra presents an unusual story of a Photographer Rafi who persuades a complete stranger Miloni played by Sanya Malhotra to act like his fiance for his ailing grandmother.